Of the top 100,000 websites on the internet, WooCommerce accounts for 11% while Shopify 8%, making them two of the world’s most widely-used e-commerce platforms. If you’re an e-commerce entrepreneur looking to launch your online store and wondering which of these will suit your business, read on. In this WooCommerce vs. Shopify blog post, we will compare how they each fare in six critical areas. The way that the two platforms structure their pricing varies greatly. WooCommerce is a WordPress plugin that you can download for free. However, while the initial download won’t cost you a dime, you need to consider the additional costs of creating your website, such as purchasing a domain name, SSL Certificate, and WordPress hosting since WooCommerce is a self-hosted platform. Depending on the features that you want to offer the customer or have in your back-end, you may also need to buy additional extensions, which can increase your costs. Shopify provides relatively straightforward monthly pricing plans, starting at $29 per month for its basic package and $299 for its more advanced one. Since Shopify aims to provide e-commerce businesses with an out-of-the-box, hosted solution, you don’t have to budget additional funds for your store’s SSL certificate and hosting. On the other hand, with Shopify, you do have to consider the transaction fees, which can vary between 0.5% to 3%. Both WooCommerce and Shopify score high on the scalability front, enabling you to easily manage increased traffic and more sale orders. WooCommerce, for instance, can handle a range of volumes, and it provides you with access to a multitude of extensions to suit your growing business. Shopify also offers plans to accommodate growth. As your shop demands increase, you can select the next package that works for your company, providing you with access to additional features that larger, complex stores require without causing any disruption to your operations. 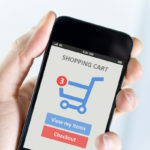 Since the ability to accept payment online is key for your e-commerce store, your platform needs to provide you with a cost-effective way of doing so. Payment gateways in WooCommerce are added through additional plugins; some of them are free while others can cost anywhere from $29 to $199. If you don’t have the technical knowledge to add these plugins and customize them to your site, you also need to factor in the price of paying someone to do so. Shopify offers an extensive range of options when it comes to third-party payment gateways, in addition to its own Shopify Payments, which enables you to accept credit cards. For Canadian cards, the cost varies between 2.4% + 30¢ to 2.9% + 30¢ and for International ones and American Express, Shopify Payments will cost you between 3.3% + 30¢ and 3.5% + 30¢. Both e-commerce platforms offer an abundance of tools and features to help you run your business. For WooCommerce, they come in the form of free or paid extensions that you can add to your site and can cover anything from store management to shipping to marketing. Shopify also offers a multitude of tools, which come in the form of apps. In addition to the apps that support marketing, sales, social media, inventory, etc., you can even purchase and download apps for product sourcing. First impressions can have a significant impact on your bottom line, so the e-commerce platform that you choose needs to not only function properly but also look professional. Since WooCommerce is a WordPress plugin, you have access to thousands of free and paid store designs that you can customize to meet your brand. There are even themes designed especially for websites using WooCommerce. Shopify also offers hundreds of professionally-designed website designs, including some that are free. Since they are easy to customize, you can adapt them to the look and feel that you are seeking. Deciding which e-commerce platform is for you is a matter of considering your needs in particular. 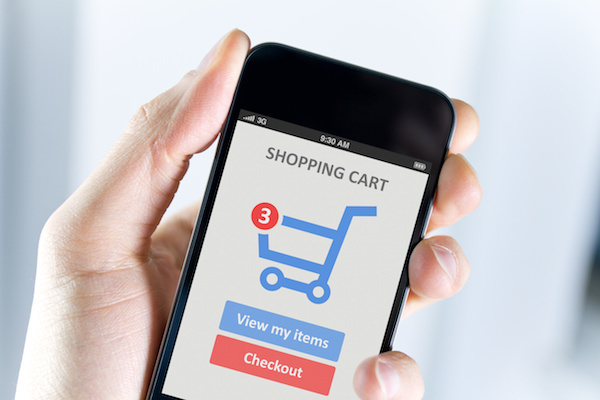 If you need help selecting an e-commerce platform for your business, contact Numinix for more information. What do you think of WooCommerce vs. Shopify? Tell us in the comments section below.